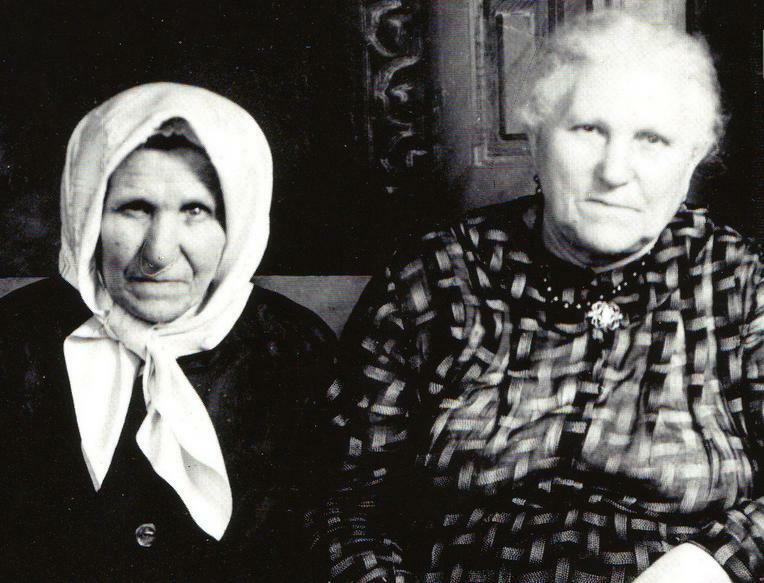 Well, there actually were three sisters and a brother, Dina, Feige, Rachel and Tevye Kaminsky, but the only picture that we have of them is a picture of the two sisters, Feige and Rachel. What do we know about them? We know absolutely nothing about what happened to Dina Kaminsky. But we do know that Rachel Kaminsky had married and started a family in Russia with her husband Israel Tennebaum. She then was separated from her brother Tevye Kaminsky and sister Feige Kasle (or Faiga) when she moved from Russia to Canada with her husband Israel and their family in the 1870's or 1880's. And we also know that Feige Kaminsky had married Efraim Kozoil (Kasle). Their offspring slowly immigrated to Michigan and Ohio in the United States around 1900-1910, one or two members at a time, until Feige and her two youngest children were finally able to join the rest of the family in Michigan after World War I was over. Meanwhile, Tevye Kaminsky had married Pearl Newman (alt. Naman) and, although some of the couple's children emigrated from Russia to the United States and Argentina, Tevye and Pearl Kaminsky stayed in Russia right up until World War II. The Tennebaums had moved to California by 1900, and the sisters lost contact with each other. Then, we believe it was one of Rachel's grandsons, Sigmund Oppenheimer, who located the Kasles in Michigan and Ohio and, after forty years apart, the sisters were reunited as you can see in the photo below. For more information about Tevye, Faiga, and Rachel's families and their genealogy, see the Kaminsky, the Kasle, and the Tennebaum family pages. United States Federal Census Records for 1900, 1910, 1920, and 1930, available online (by subscription and at Public Libraries) at Ancestry.com and at Public Libraries through the Heritage Quest Census database.